Nice location at quiet alley, apartments good equiped and clean, very good and helpful contact with owner (before and during staying). I liked the apartment, the position of the house which is close to the sea, a market, restaurant and a bar with very good coffee. Very friendly host. Clean and nice apartment. Close to minimarket and sea. It is very nice place for holiday, accommodation is wonderful, Jadranovo is pleasant place for relax. 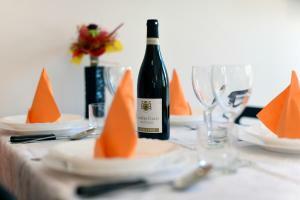 The host is very kind person, so I can recommend Apartment Rudy in Jadranovo for everybody. Veliko prostora okoli hiše za otroke, izjemno prijazna gostiteljica. Personál ústretový. Čisté. 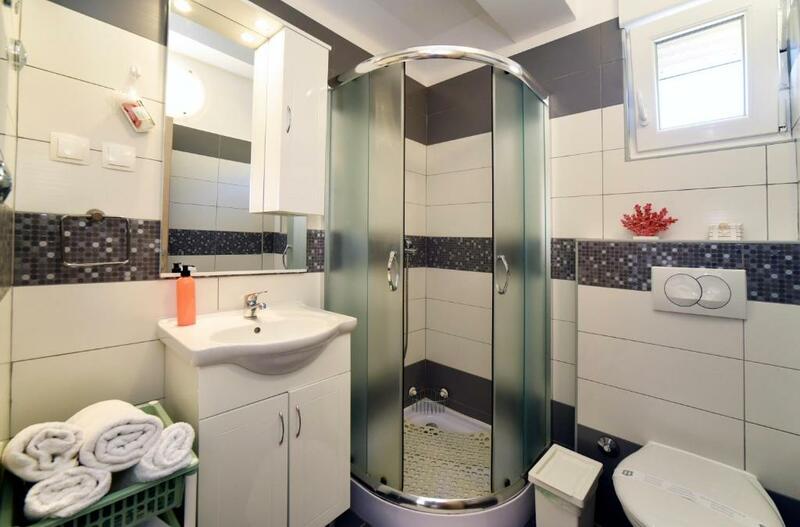 Pekný apartmán. Veľký balkón. Vynikajuci personal, skvele vybavena kuchyna, za domom maly dvor kde sa deti vyblaznili aj s vonkajsou sprchou, figy priamo zo stromu, chilli papricky zo zahradky. Moznost vyuzitia pracky, a lehatka v pripade ze sa vam nechce ist k moru. Klima na izbe. Vynikajuca cistota. Dobre parkovanie. Pomer cena/kvalita jednoznacne velmi dobry. More krasne ciste, vsetky plaze bez jezkov. Vynikajuca pizzeria, pekaren, konzum, restauracie. 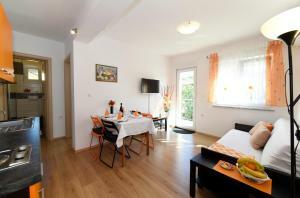 Lock in a great price for Apartments Rudy – rated 9.4 by recent guests! Apartments Rudy This rating is a reflection of how the property compares to the industry standard when it comes to price, facilities and services available. It's based on a self-evaluation by the property. Use this rating to help choose your stay! 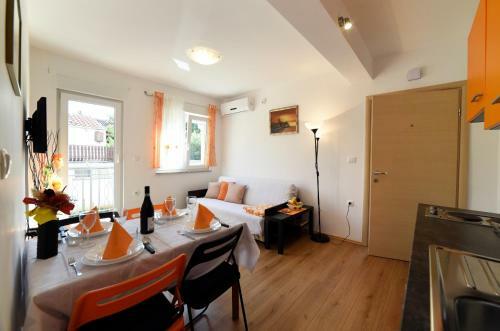 One of our top picks in Jadranovo.Located in Jadranovo, Apartments Rudy offers self-catering accommodations with free WiFi access and a balcony or terrace. 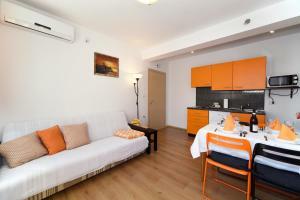 Each apartment is air-conditioned and includes 1 bedroom and a living room with a flat-screen TV. 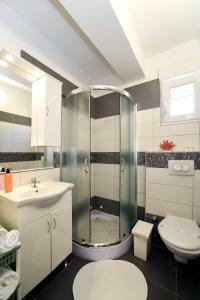 A washing machine is provided and the bathrooms are complete with a shower and free toiletries. 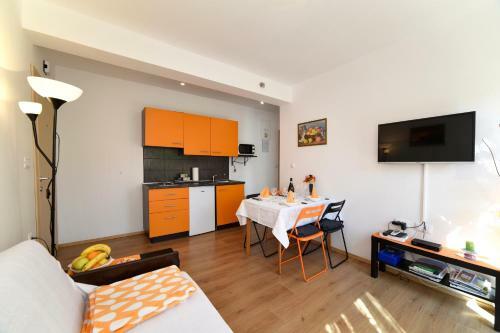 Apartments have a kitchen with a microwave, an oven and a stove. An electric kettle and a fridge are also provided. 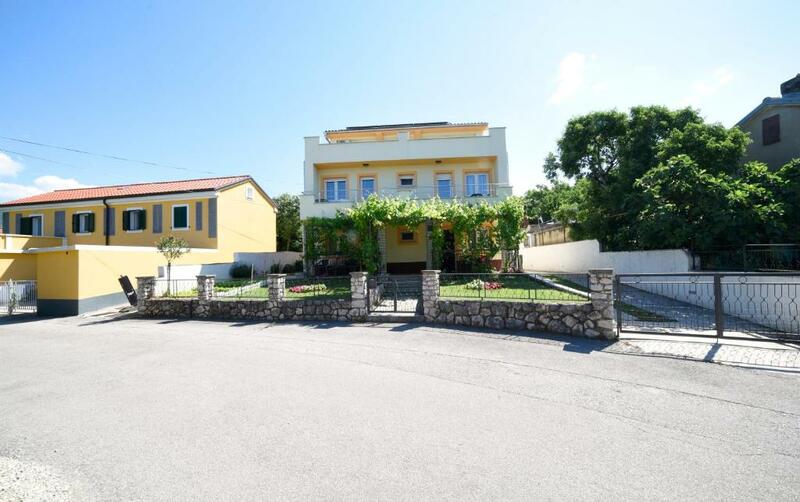 Apartments Rudy is an 8-minute walk from the sea and 16 mi from Rijeka. The property offers free parking. This property is also rated for the best value in Jadranovo! Guests are getting more for their money when compared to other properties in this city. When would you like to stay at Apartments Rudy? Located on the ground floor, this self-catering apartment offers a terrace with outdoor furniture, free WiFi and a living room with a flat-screen TV. A washing machine is provided. This self-catering apartment is more spacious and includes a balcony with outdoor furniture, free WiFi and a living room with a flat-screen TV. A washing machine is provided. My name is Michel and it would be a great honor to have You as guests in my apartment. During the last few years I've been following up on my guests wishes. That is why I've equipped and decorated the apartment with everything I would want during my vacation. It goes without saying that I would be happy to answer any additional questions and will do everything in my power to help you. All You have to do is contact me, make Yourself comfortable in my apartment and begin to explore. House Rules Apartments Rudy takes special requests – add in the next step! Please inform Apartments Rudy of your expected arrival time in advance. You can use the Special Requests box when booking, or contact the property directly using the contact details in your confirmation. A problem with ants, especially in the kitchen. If you are with children or you are no smoking be aware about possible smoking neighbors in close distance with you on terrace.